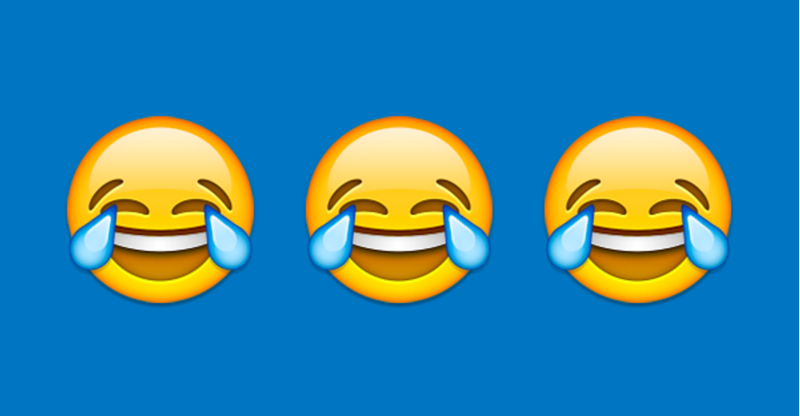 And Your 2015 Word of the Year Is...the Face With Tears of Joy Emoji? Oxford Dictionaries is part of Oxford University Press but a different arm than the hallowed history-of-English OED, interested in the evolving nature of language rather than its past. They tracked the Face With Tears of Joy emoji’s ascendance in consultation with the mobile keyboard company SwiftKey. Research showed that the Face With Tears of Joy was the most-utilized emoji worldwide this year, accounting for 20% of U.K. emoji use and 17% in the U.S. That’s a whole lot of happy tears. In a blog post, Oxford Dictionaries wrote that the emoji “was chosen as the ‘word’ that best reflected the ethos, mood, and preoccupations of 2015.” They note that this is a year where emojis in general went mainstream, employed by everyone from big brands to presidential candidates. What a time to be alive. Based on a poll currently running on the Oxford Dictionary site, public sentiment seems to be behind “refugees” for the win. Considering the unprecedented refugee crisis the world is facing, this would’ve been a poignant choice. But hey, at least it wasn’t lumbersexual?